You don’t need to invest thousands of ringgit to enjoy good coffee in Malaysia or anywhere in the world. Unless of course, if you want to enjoy good espresso in Malaysia, then a few thousands ringgit investment is required. Aeropress, French Press, Moka Pot, Syphon, Drip and many other methods allow you to make nice tasty coffee at home. Check out this posting from Mr. Cheah and learn of the many cool brewing methods with tips from many professional barista around the world. 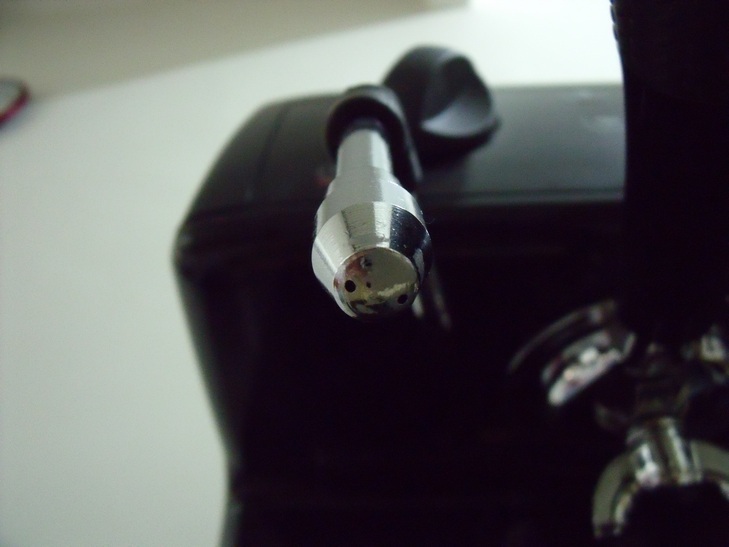 This entry was posted in Aeropress, Barista, Coffee, espresso on January 24, 2010 by KF Chan. The Nuova Simonelli Oscar Espresso Machine is one of the best professional home machine you can find. The price is reasonable for the Malaysian market. It is not too heavy, around 18kg. Huge 2litre boiler. Plenty of powerful steam to make excellent cappuccino and latte. Commercial grade brew head and a Heat-Exchanger machine that allows you to brew espresso and froth milk at the SAME time. Specifications here. But there are 2 “flaws’ with the Oscar. The original 4-holes tip has a very wide angel of dispersion. Trying to make microfoam has been really difficult. Many of us has resort to plugging a hole or 2 with toothpick. The toothpick idea does work. I plug one hole and has been able to make good microfoam. It still requires a steady hand and full concentration to achieve perfect velvety smooth frothed milk. Finally, Irving and I got ourselves a NEW 2-holes Isomac steam tip and microfoaming has become a piece of cake. 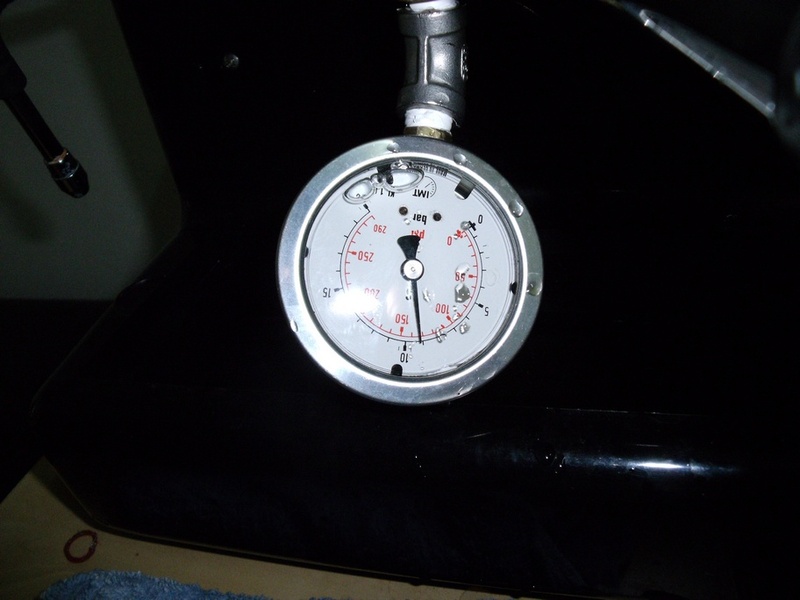 Another problem for espresso lovers are the brewing pressure. The original settings of the Oscar came with a brewing pressure of around 13 to 14 BAR. The official recommendation of espresso extraction is set at 9 Bar. The overly high pressure resulted in espresso that is slightly more bitter and less sweetness. After we installed in an OPV (Over-Pressure Valve), the improvement is definitely noticeable. Using my favourite Supremo Highlander Blend, the improvement is obvious, less bitter and much livelier. Do note that if you are not a regular espresso lover and drink mostly cappuccino or latte, you will not notice much difference and this issue may not concern you at all. 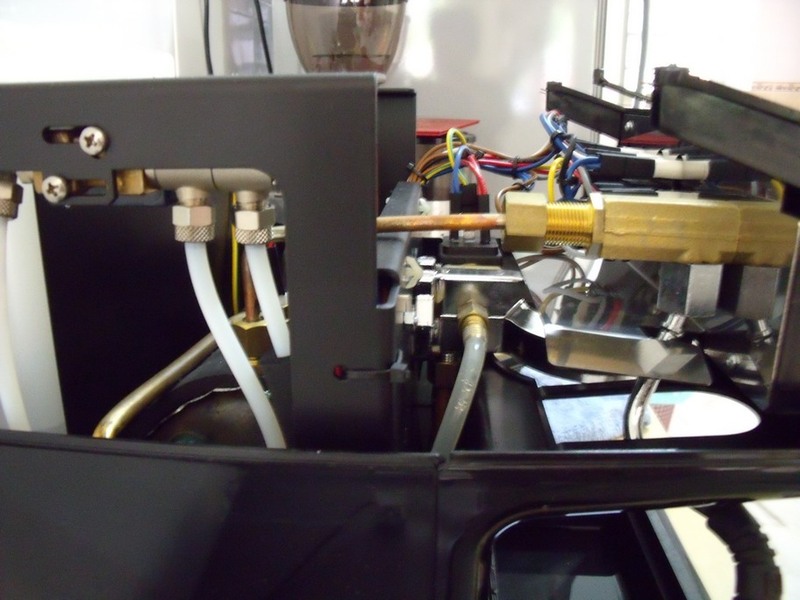 Here’s what happened when Irving installed the OPV on my Oscar Espresso Machine. The OPV is on the right of the T-Joint. 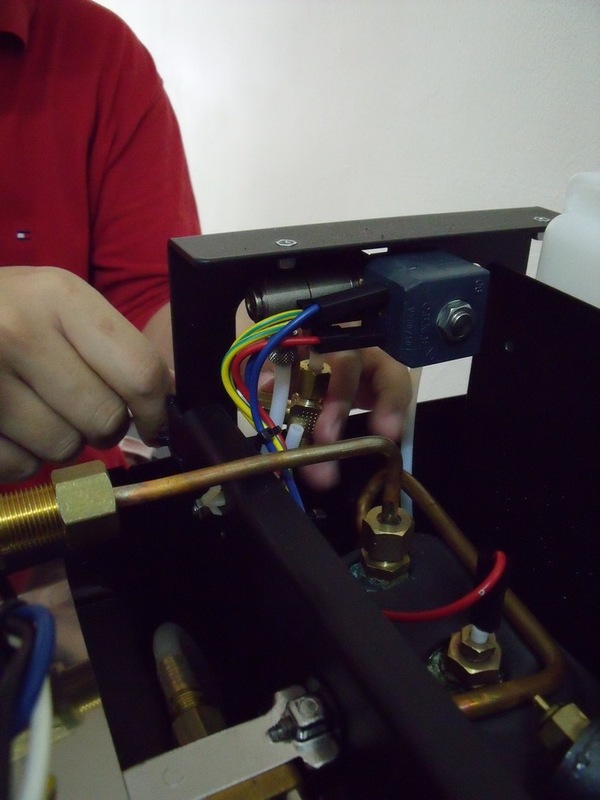 If you have an Oscar Espresso Machine that is more than 1 year (after warranty), you may want to consider doing the upgrade. The OPV cost RM200 + RM150 for installation charge. 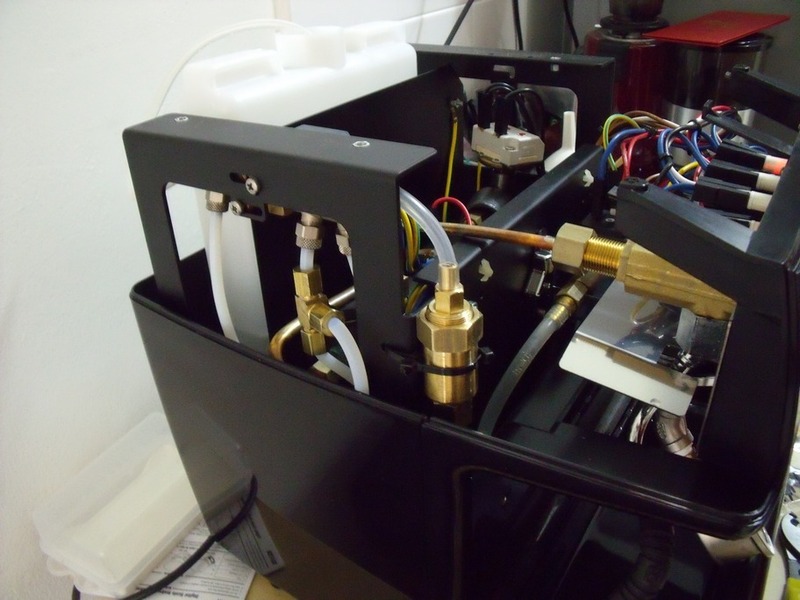 This entry was posted in Coffee, DIY, espresso, Espresso Machine on January 1, 2010 by KF Chan.